Babies need a lot of love, which is why it’s so important that they have plenty of comfortable blankets to cuddle up with as they sleep. There are lots of different styles of baby blankets, some are light and lacy, while others are plush and fuzzy. Some baby blankets even have a little stuffed animal attached to them, which is often referred to as a “lovey.” These blankets are especially popular because they double as both a cuddly crochet baby blanket, as well as a soft toy to play with. This Amigurumi Coyote Lovey Free Crochet Pattern brings comfort and security to your little one with adorable lovey. This is a really perfect gift for a baby shower, the kind of handmade item that will make everyone smile at your skills. Thanks Whistle & Ivy sharing this free pattern. The link for the free pattern is provided below photo. Happy crocheting. 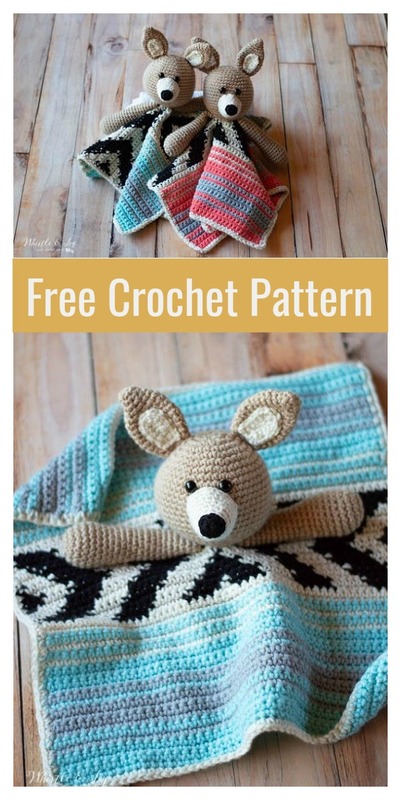 You might also like Cute Bear Lovey Free Crochet Pattern.